1. The presence of the three Justices, as against six members of the House of Representatives, was intended as an additional guarantee to ensure impartiality in the judgment of cases before it. 2. A law is not invalid because of simple inequality. The very idea of classification is that of inequality, so that it goes without saying that the mere fact of inequality in no manner determines the matter of constitutionality. All that is required of a valid classification is that it be reasonable, which means that the classification should be based on substantial distinctions which make for real differences; that it must be germane to the purpose of the law; that it must not be limited to existing conditions only; and that it must apply equally to each member of the class. This Court has held that the standard is satisfied if the classification or distinction is based on a reasonable foundation or rational basis and is not palpably arbitrary. ALFREDO G. GERMAR, PETITIONER, VS. FELICIANO P. LEGASPI, RESPONDENT. 1. ... the Court had the occasion to rule on whether a Sangguniang Bayan authorization, which is separate from the appropriation ordinance, is still required if the appropriation ordinance itself already provided for the transactions, bonds, contracts, documents, and other obligations that the local chief executive would enter into in behalf of the municipality. 2. ... the Court agreed that the prior authorization for the local chief executive to enter into contracts on behalf of the municipality may be in the form of an appropriation ordinance, for as long as the same specifically covers the project, cost, or contract to be entered into by the local government unit. 3. "an item of appropriation must be an item characterized by singular correspondence-meaning an allocation of a specified singular amount for a specified singular purpose, otherwise known as a 'line-item.'" Challenged before the Court via this Petition for Review on Certiorari under Rule 45 of the Rules of Court are the Decision and Resolution of the Court of Appeals, dated September 5, 2016 and June 30, 2017, respectively, in CA-G.R. SP No. 145277. The Decision and Resolution affirmed the Consolidated Resolution of the Office of the Ombudsman in OMB-L-A-15-0054 and OMB-L-A-15-0055. After the May 2013 elections, the Municipality of Norzagaray, Province of Bulacan witnessed a change of administration. The petitioner, Alfredo G. Germar (Germar), won the mayoralty position. He replaced the former mayor, respondent Feliciano P. Legaspi (Legaspi). During Germar's term, he entered into contracts for professional service with six (6) consultants, namely, Mamerto M. Manahan, Danilo S. Leonardo, Edilberto J. Guballa, Rodolfo J. Santos, Epifanio S. Payumo, and Enrique C. Boticario. Respectively, they were to advice the office of the mayor on municipal administration and governance, barangay affairs, business investment and trade, calamity and disaster, and the last two consultants, on security relations. From the records of the case, it appears that the budget for the salary of the consultants is found in the appropriation ordinance of the municipality for the year 2013. Particularly, it is a line-item called as "Consultancy Services" found under the category "Maintenance and Other Operating Expenses" of the Office of the Mayor. These provisions are found in a detailed list which is annexed to the appropriation ordinance, with the heading, "Programmed Appropriation and Obligation by Object of Expenditure." On October 28, 2014, a year into Germar's service as the mayor of the municipality, Legaspi filed a complaint against the former, together with the six (6) consultants and the Municipal Human Resources Officer of the municipality, before the Office of the Ombudsman (OMB). The charges, both criminal and administrative, included Grave Misconduct, Gross Dishonesty, Grave Abuse of Authority (docketed as OMB-L-A-15-0054 to 55), Malversation and Violation of Republic Act (R.A.) No 7160, R.A. No. 6713, R.A. No. 3019 (docketed as OMB-L-C-15-0039 to 40), and R.A. No. 9184. In the administrative aspect of the complaint, which is the subject matter of this case, Legaspi averred that Germar entered into these contracts of professional service without the prior authorization of the Sangguniang Bayan. This, Legaspi asserted, is a violation of Section 444 of the Local Government Code, which deals with the powers, duties, function, and compensation of the local chief executive. WHEREFORE, finding probable cause to indict respondent ALFREDO G. GERMAR for violation of Section 3 (e) of RA No. 3019, let the appropriate information be filed before the Sandiganbayan. FURTHER, there being substantial evidence, respondent ALFREDO G. GERMAR is found guilty of Grave Misconduct. He is meted the penalty of DISMISSAL from the service as well as cancellation of eligibility, forfeiture of retirement benefits, and perpetual disqualification from holding public office. The charges against the other respondents SILANGAN RIVAS, MAMERTO MANAHAN, DANILO LEONARDO, EDILBERTO GUBALLA, RODOLFO SANTOS, EPIFANIO PAYUMO and ENRIQUE BOTICARlO are hereby DISMISSED for lack of evidence. Without filing a motion for reconsideration to the OMB Consolidated Resolution, Germar elevated the case to the Court of Appeals. After the submission of the required pleadings, the appellate court rendered a decision, which denied Germar's petition for review. According to the Court of Appeals, while Germar's non-filing of a motion for reconsideration falls within the exception to the doctrine of exhaustion of administrative remedies, he is nonetheless found guilty of grave misconduct for entering into consultancy service contracts without the Sangguniang Bayan's authorization. WHEREFORE, the instant Petition for Review is hereby DENIED. The assailed 23 November 2015 Consolidated Resolution of the Office of the Ombudsman in OMB-L-A-0054 to 55 finding ALFREDO G. GERMAR GUILTY of grave misconduct is AFFIRMED in toto. Upon the denial of petitioner Germar's motion for reconsideration, he filed the instant petition for review on certiorari. In seeking the reversal of the decision of the Court of Appeals, the petitioner raises three issues: (1) whether or not the item of "Consultancy Services" in the appropriation ordinance of the Municipality of Norzagaray is sufficient authorization for the petitioner to sign the contracts of professional service; (2) whether or not Germar's act show good faith such that he is neither guilty of grave misconduct, nor should he be punished with the ultimate penalty of dismissal from service; and (3) whether or not the condonation doctrine finds application herein. In essence, the issue that the Court is called upon to resolve centers on whether or not Germar is guilty of Grave Misconduct in entering into the six (6) contracts of professional service based solely on the authority of the appropriations ordinance, and no other. After a careful perusal of the arguments presented and the evidence submitted, the Court finds merit in the petition. Time and again, the Court has defined misconduct as a transgression of some established and definite rule of action, a forbidden act, a dereliction of duty, unlawful behavior, willful in character, improper or wrong behavior. The misconduct is grave if it involves any of the additional elements of corruption, willful intent to violate the law, or to disregard established rules, which must be established by substantial evidence. As distinguished from simple misconduct, the elements of corruption, clear intent to violate the law, or flagrant disregard of established rule must be manifest in a charge of grave misconduct. (c) Unless otherwise provided in this Code, no contract may be entered into by the local chief executive in behalf of the local government unit without prior authorization by the sanggunian concerned. A legible copy of such contract shall be posted at a conspicuous place in the provincial capitol or the city, municipal or barangay hall. SECTION 444. The Chief Executive: Powers, Duties, Functions and Compensation. 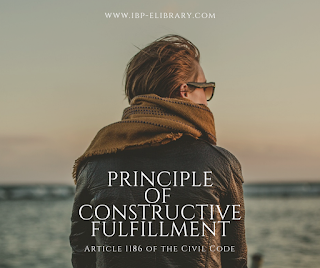 - (a) The municipal mayor, as the chief executive of the municipal government, shall exercise such powers and performs such duties and functions as provided by this Code and other laws. To be sure, respondent Germar could only muster as basis for his action the authority vested in him by law to appoint the municipality's officials and employees. Then again, consultant respondents here were not employees of the local government and this fact was acknowledged in the consultancy contracts. Under the circumstances of the present case, this Office sees the open defiance and disregard by respondent Germar of the law's requirement by continually insisting on an applicable provision of the Local Government Code as his legal basis. No local ordinance was presented either to reflect that the Sanggunian even ratified the contracts. But in his defense, Germar recognized the clear mandate of Sections 22 and 444(b)(l)(vi). He, however, averred that he has indeed acquired the required "prior authorization" from the Sangguniang Bayan. Germar posited that the appropnatlon ordinance, which clearly provided for funds for "Consultancy Services" is the "prior authorization" required of Sections 22 and 444(b)(l)(vi). To be sure, this issue is not novel. In the case of Quisumbing v. Garcia, the Court had the occasion to rule on whether a Sangguniang Bayan authorization, which is separate from the appropriation ordinance, is still required if the appropriation ordinance itself already provided for the transactions, bonds, contracts, documents, and other obligations that the local chief executive would enter into in behalf of the municipality. To answer this query, Quisumbing made a general delineation depending on the particular circumstances of the case. According to Quisumbing, if the project is already provided for in the appropriation ordinance in sufficient detail, then no separate authorization is necessary. On the other hand, if the project is couched in general terms, then a separate approval by the Sangguniang Bayan is required. If the project or program is identified in the appropriation ordinance in sufficient detail, then there is no more need to obtain a separate or additional authority from the sanggunian. In such case, the project and the cost are already identified and approved by the sanggunian through the appropriation ordinance. To require the local chief executive to secure another authorization for a project that has been specifically identified and approved by the sanggunian is antithetical to a responsive local government envisioned in the Constitution and in the LGC. In applying this delineation, Verceles examined the difference in the provisions of the Province of Catanduanes's appropriation ordinance for the fiscal years 2001 and 2002 with regard to the province's "tree seedlings production project." In the 2001 appropriation ordinance, the funds for the "tree seedlings production project" were derived from the province's economic development fund (EDF), which is a lump-sum amount that did not detail the projects that it could fund. Thus, Verceles concluded that, since the appropriation ordinance did not list the specific projects in which the EDF could be used, then the Sangguniang Panlalawigan "has not yet determined how the lump-sum EDF would be spent at the time it approved the annual budget." Resultantly, the provision in the 2001 appropriation ordinance, insofar as the EDF is concerned, is a generic term that needed a separate authorization from the Sangguniang Panlalawigan. In contrast, in the 2002 appropriation ordinance, the EDF from which the funds for the "tree seedlings production project" were also derived specifically stated in Section 3 thereof that the lump-sum EDF may be used for "Tree Seedling Production for Environmental Safeguard-Amount: P3,000,000.00" This, Verceles concluded, is sufficient authority because the same "specifically and expressly set aside P3,000,000.00 to fund the tree seedlings production project of the Province." This thus begs the question in this case: Is the line-item "Consultancy Services" found under the category "Maintenance and Other Operating Expenses" of the budget for the Office of the Mayor which is found in the annex to the appropriations ordinance under the heading, "Programmed Appropriation and Obligation by Object of Expenditure," of sufficient detail which would not require a separate ordinance? To answer this query, there is a need to discuss the proper characterization of a line-item in an appropriation ordinance. In the case of Bengzon v. Secretary of Justice of the Philippine Islands, the United States Supreme Court defined an "item of appropriation" as "a specific appropriation of money, not some general provision of law which happens to be put in an appropriation bill." In Araullo, et al. v. President Aquino III, et al., the Court reiterated that a line-item is "the last and indivisible purpose of a program in the appropriation law, which is distinct from the expense category or allotment class." In Belgica, et al. v. Hon. Exec. Sec. Ochoa, Jr., et al., through the ponencia of Justice Estela M. Perlas-Bernabe, this Court further elaborated on this definition by stating that "an item of appropriation must be an item characterized by singular correspondence-meaning an allocation of a specified singular amount for a specified singular purpose, otherwise known as a 'line-item.'" By this standard, the Court, in Belgica, considered the "Calamity Fund, Contingent Fund and the Intelligence Fund" as line-items as they are "appropriations which state a specified amount for a specific purpose." Further, in discussing the veto power of the President for line-items, Belgica ruled that "a valid appropriation may even have several related purposes that are by accounting and budgeting practice considered as one purpose, e.g., MOOE (maintenance and other operating expenses), in which case the related purposes shall be deemed sufficiently specific x x x"
By analogy, these asseverations in the line-items of appropriation laws may also be applied to appropriation ordinances. In this case, the Sangguinang Bayan's appropriation ordinance for the fiscal year 2013 indicated a budget of P250,859,675.00 to be sourced from the general fund and P279,565,093.62 to be sourced from the special fund. Of these amounts, Section 4 of the appropriation ordinance allocated P40,609,457.62 to the "Mayor's Office." While this allocation contained no specific line-item, Section 1 of the same ordinance provided for the incorporation of several documents to be made as integral part thereof. Particularly, it included the budget document denominated as "Budget of Expenditures and Sources of Financing." A review of the records revealed that among the attachments to the appropriation ordinance is LBP Form No. 3, "Programmed Appropriation and Obligation by Object of Expenditure," the first three (3) pages of which pertained to the budget of the Office of the Mayor. The Object of Expenditures for the Office of the Mayor is categorized into three: (1) Current Operating Expenditures, (2) Capital Outlay, and (3) Special Purpose Appropriation. The Current Operating Expenditures is further divided into two sub-categories: (1) Personal Services and (2) Maintenance and Other Operating Expenses (MOOE). The subject line-item "Consultancy Services" is found in the MOOE along with other line-items such as travelling expenses, training expenses, representation expenses, and intelligence expenses. In effect, therefore, the subject line-item in this case, like the other line-items in the appropriations ordinance, is a specific al1ocation to a specific purpose for the specific maintenance and operating expense of a specific office. In the language used in Belgica, this line-item which is found in the MOOE of the Office of the Mayor shall already be deemed sufficiently specific. More, the delineation propounded by the Court in Verceles is likewise followed in the case at hand. The cost-in this case P900,000.00, or contract-in this case the contract for professional services entered into by Germar, has been properly and dearly identified in the appropriations ordinance. As compared to a lump-sum EDF budget in Verceles where there was no mention of any detail of the project to which the fund shall be utilized, the line-item subject of the present case has been identified by the Sangguniang Panlalawigan in the appropriations ordinance. To require a further elaboration of what type of consulting agreement should be entered into is akin to requiring what type of calamity there should be before the calamity fund should be used, or what kind of representation there should be before the representation expense could be used. Clearly, the line-item "Consultancy Services" in the MOOE budget of the Office of the Mayor is meant to provide consultants to the Office of the Mayor for the purpose of its day-to-day operations. This is as specific as the line-item could be reasonably provided for in the appropriation ordinance, and the Sangguniang Bayan, by including this in the appropriation ordinance, already acceded to the procurement of consulting services by the Office of the Mayor. Again, in the language of Verceles, to require the local chief executive to secure another authorization from the Sangguniang Bayan for this line-item, despite it being specifically identified and subsequently approved, is antithetical to a responsive local government envisioned in the Constitution and the Local Government Code. By the foregoing discourse, it remains apparent that an authorization from the Sangguniang Bayan, which is separate from the appropriations ordinance for the fiscal year 2013, is not warranted. Germar's action of entering into contracts of professional service with the six (6) consultants could not be considered as a transgression of an established and definite rule of action, nor could it be considered a forbidden act, a dereliction of duty, or an unlawful behavior. Neither is there any willful intent to violate the law or any willful intent to disregard established rules for clearly, Germar's action is within the parameters of the law as established by the Court in the cases of Quisumbing and Verceles. Consequently, it is the Court's considered opinion that Germar should not have been found guilty of Simple Misconduct, let alone Grave Misconduct, on the basis of his lawful action as the mayor of the Municipality of Norzagaray, Province of Bulacan. Ruling contrary thereto is a grave injustice to a sitting local chief executive who merely executed the contracts of professional service pursuant to a specific line-item found in an approved appropriation ordinance. Indeed, while issues in politics is a reality that all politicians will have to contend with, the Court should not sit idly by when the law is used as a tool to exact vengeance against those who prevailed over another, especially when it is the voice of the people that dictated who should represent them in their local government. Any deviation from this principle should be unceremoniously struck down and should never be countenanced by the Court. WHEREFORE, premises considered, the petition for review on certiorari is GRANTED. The Decision and Resolution of the Court of Appeals, dated September 5, 2016 and June 30, 2017, respectively, in CA­ G.R. SP No. 145277 and the Consolidated Resolution of the Office of the Ombudsman in OMB-L-A-15-0054 and OMB-L-A-15-0055 are hereby REVERSED and SET ASIDE. Carpio, Senior Associate Justice, (Chairperson), Perlas-Bernabe, and J. Reyes, Jr.,** JJ., concur. Caguioa, J., on official business. ** Designated as additional Member per Special Order No. 2587, dated August 28, 2018. Penned by Associate Justice Cannelita S. Manahan, and concurred in by Associate Justices Japar B. Dimaampao and Franchito N. Diamante; rollo, pp. 62-80. "An Ordinance Authorizing the Annual Budget of the Municipality of Norzagaray, Bulacan for Fiscal Year 2013 Beginning on January 01, 2013 to December 2013 Amounting to Two Hundred Filly Million Eight Hundred Fifty Nine Thousand Six Hundred Seventy Five Pesos (P250,859,675.00) for General Fund and the Amount of Twenty Eight Million Seven Hundred Five Thousand Four Hundred Eighteen Pesos and 62/100 (P28,705,418.62) for Special Fund Covering the Various Expenditures for the Operation of the Municipal Government for Fiscal year 2013, and Appropriating the Necessary Funds for the Purpose." See Office of the Court Administrator v. Tomas, A.M. No. P-09-2633; Re: Administrative Charge of Misconduct Relative to the Alleged Use of Prohibited Drug of Castor, 719 Phil. 96, 100 (2013); Dalmacio-Joaquin v. Dela Cruz, 604 Phil. 256, 261 (2009); Office of the Court Administrator v. Lopez, 654 Phil. 602, 608 (2011). "An Ordinance Authorizing the Annual Budget of the Municipality of Norzagaray, Bulacan for Fiscal Year 2013 Beginning on January 01, 2013 to December 2013 Amounting to Two Hundred Fifty Million Eight Hundred Fifty Nine Thousand Six Hundred Seventy Five Pesos (P250,859,675.00) for General Fund and the Amount of Twenty Eight Million Seven Hundred Five Thousand Four Hundred Eighteen Pesos and 62/100 (P28,705,418.62) for Special Fund Covering the Various Expenditures for the Operation of the Municipal Govemment for Fiscal year 2013, and Appropriating the Necessary Funds for the Purpose." 593 Phil. 655, 663-664 (2008).